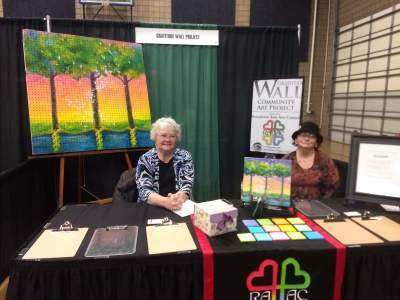 RAAC unveiled the new community art project "The Gratitude Wall" on Nov 1, 2018 at the RAAC Ten Year Anniversary Celebration. 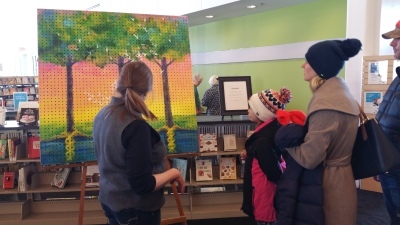 A view of trees and a sunset was painted on pegboard by artist Laura Baker. 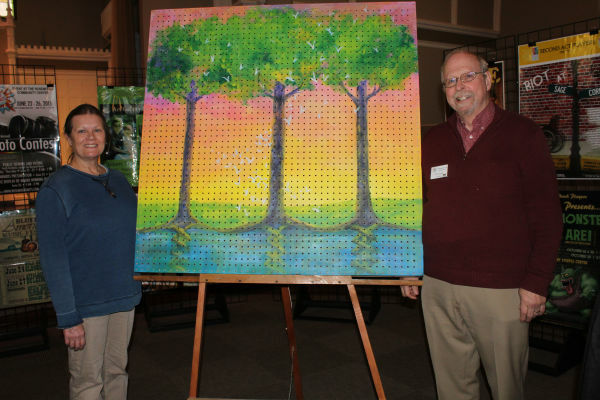 Members of the community are invited to place notes of gratitude in the peg holes. The piece will be brought to different venues over the next twelve months to allow as many people as possible to participate. See photo at right and video below.